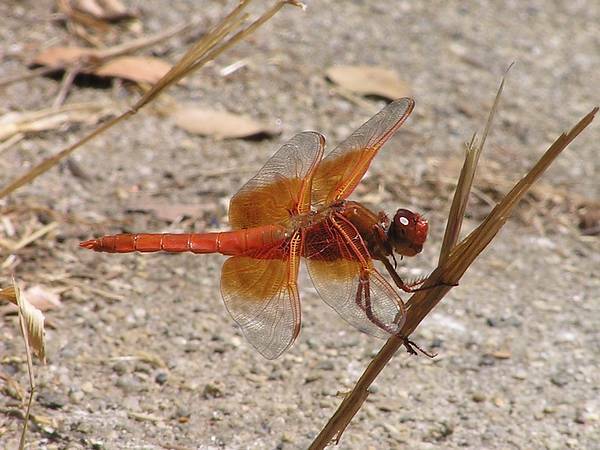 Flame skimmer: males bright orange with amber color in the wings covering half the width of the wing, out to the nodus, and all the way to the rear of the hind wing. Females paler but still with some amber at least on the leading edge of the wing. Parts of Western and Southwestern US.